It is poised to beat store-based shopping, which is only projected to grow 1.5%. 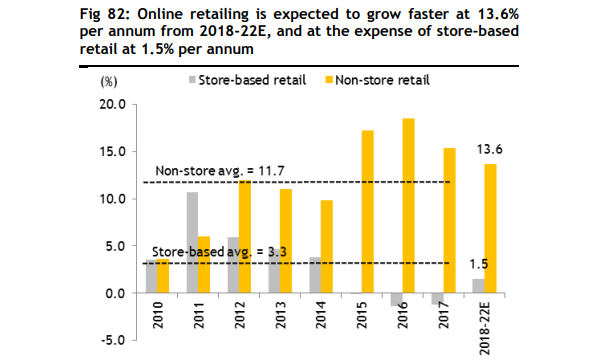 This chart from Maybank Kim Eng shows that retailers and malls are feeling the heat from e-commerce competition as online shopping is expected to grow 13.6% in 2018-2022. Meanwhile, store-based shopping is expected to perform poorly and only grow 1.5%, lower than the average of 3.3%. 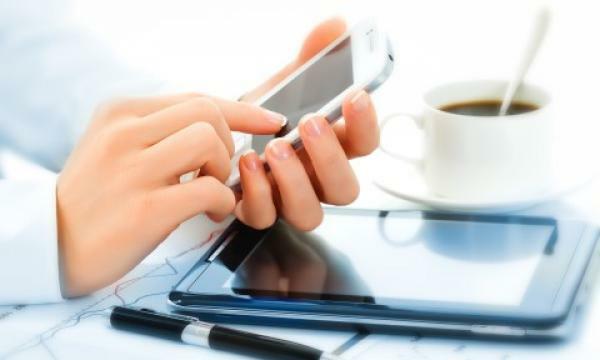 According to Maybank KE analyst Neel Sinha, this tension between online and store-based shopping has caused sales leakages for the latter as Singaporeans increasingly spend overseas or via online channels. "Some have responded to declining sales efficiency by accelerating the rollout of experiential retail concepts; but we think malls could be sustained in the near-term by demand from new-to-market international brands, discount retailers, and F&B tenants," he said. Overall, optimism has been rising on retail REITs as tourism, GDP growth, the job market, and consumer sentiment improve.